By Oscar Michel, Masters in Journalism, DCU. Applications are still opened for the Fighters Programme of Station F and will close on October 2, 2017. The Fighters Programme was designed for entrepreneurs from underprivileged backgrounds. This may include people who grew up in poor suburbs or rural areas, immigrants that struggled to integrate, refugees, people with difficult personal stories who feel they have what it takes to build a startup and are already working on a project. 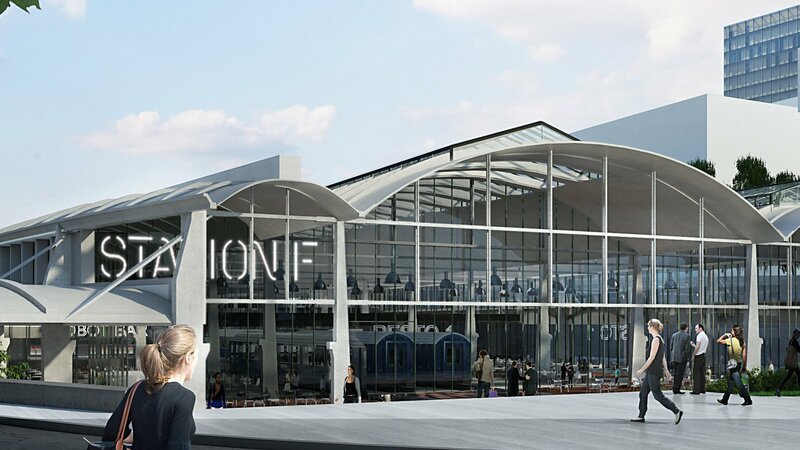 Station F, the biggest startup campus in the world has been launched on June 29. French President Emmanuel Macron, the Mayor of Paris Anne Hidalgo and 1500 young entrepreneurs from all around the world were there. Emmanuel Macron respected what he had said during the elections: to promote startups. Station F is taking place since June 29 in a 34000 square-meter historical building in Paris where 3000 international entrepreneurs, investors, tech companies, public services, prototyping experts and others are working everyday. 26 different startup programmes were launched, including the Founders Programme and the newly launched Fighters Programme for underprivileged entrepreneurs. These programmes are run by Facebook, HEC, Naver, Microsoft, Ubisoft, vente privée, ICM, Outre-Mer Network, Serrinov, Numa, Ashoka, Arts & Métiers, CNPA, Usine.io, Havas, Zendesk, Impulse Labs, BNP Paribas+Plug and Play, Shakeup Factory and Schoolab, Thales, EDHEC, Creative Valley and Ponts Alliance. The Founders Programme received over 2,300 applications from over 50 different countries but only 200 startups were lucky enough to participate. 40% of the participating startups have female founders. 1,000 startups and many other members of the international startup ecosystem will be on campus daily, making STATION F one-of-a-kind place for innovation. Previous ArticleHow can Bitcoins be useful? Liina Laas from Paxful has the answer.